Go on a jazz journey around Cheltenham town centre with this free, self-guided sound walk. The audio tour takes you to locations significant in Cheltenham’s musical history, especially those with links to jazz. Narrated by broadcaster Fiona Talkington, it features music from saxophonist Trish Clowes as well as stories and memories from local musicians, the Festival programming team and volunteers. 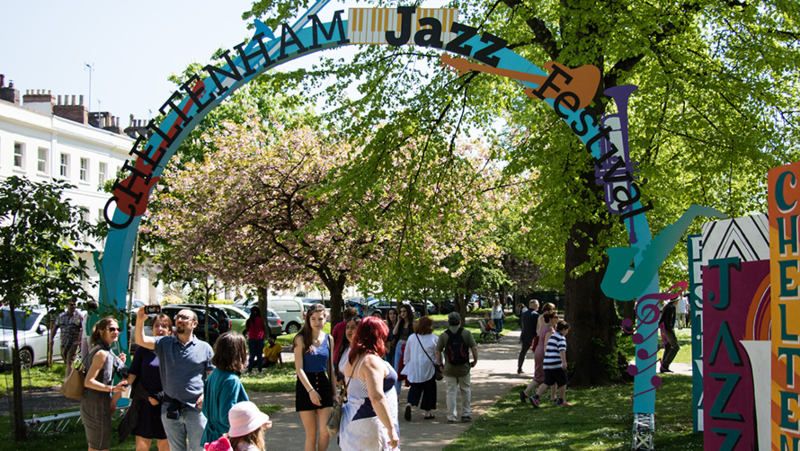 The walk was created for the 2018 Jazz Festival as part of the Jazz and Everyday Aesthetics research project. The walking route takes approximately one hour – directions are contained within the audio but a map can also be found below. Jazz and Everyday Aesthetics is funded by the Arts and Humanities Research Council, UK, and is led by academics at Birmingham City University and the University of Warwick.